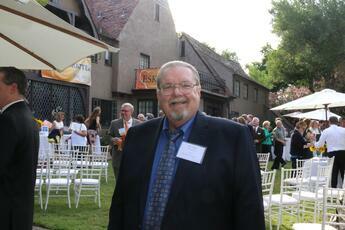 Richard Anderson has provided Eskaton with promotional materails for 22 years. He remembers his very frst print job: The Eskaton note pad. Since then he's provided t-shirts and endles supplies to help our nonprofit's differentiation. Richard also has a deep understanding of what it means to help the aging. His father lived with Alzheimer's and as a family caregiver, he personally knows the struggles and the rewards of caring for his loved ones. 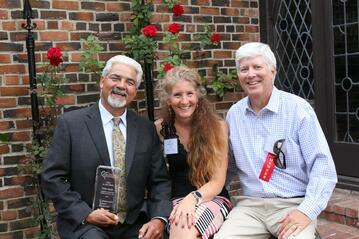 Tom Arjil was honored by his peers as the CEO of the Year at the Celebration of CEOs event on June 14. Tom began in the emergency response business 40 years ago as an ambulance driver. The founder of AlphaOne, and the first Philanthropic Partner of Eskaton Foundation, saw a great need to focus on seniors. Since 2011, AphaOne takes a different approach to emergency medicall services through innovation and enchanced training for it's EMT's. "The biggest positive innovation is the GPS, which impacts response time," says Tom. But Electronic Medical Records have also been extremely helpful he says. "The patient data from the EMR helps in training." For more information on Eskaton Foundation click here. Elizabeth Proett began playing the harp professionally in the 1980's. Today she is a certified music practitioner an can be found playing for Eskaton residents. 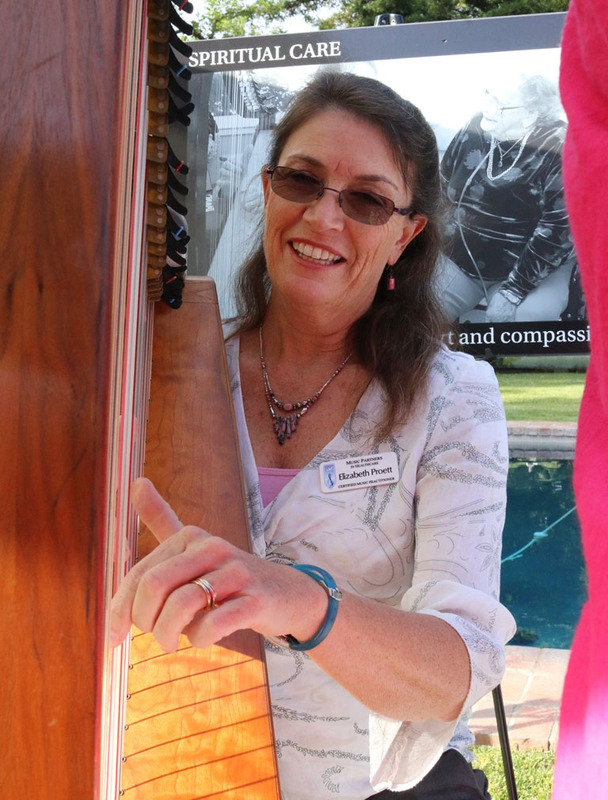 Ten years ago Elizabeth learned the craft of playing music for healing and transition. "I wanted to do something a little more meaningful," she said. Charlie Grows knows all about helping seniors. As a fire fighter for the last 45 years, he has come to the rescue of many older adults. A few years ago, Charlie started Uncle Charlie's Firehouse and Brew with his daughter Taryn. Today the two give back to their community by donating their home brew to Eskaton Foundation events. 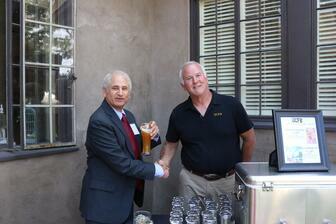 "We wanna help," said Charlie, pictured with here with Donald Levin at the Celebrations of CEOs event on June 14. Some day Charlie and Taryn plan on obtaining a commercial licence to open their own brewery. Until then they will continue to give friends and guests free samples of their signature Blonde, Porter, and IPA. "We like to keep it under 6%, our Sheila's Blonde (3.5%) is light and refreshing," he says. 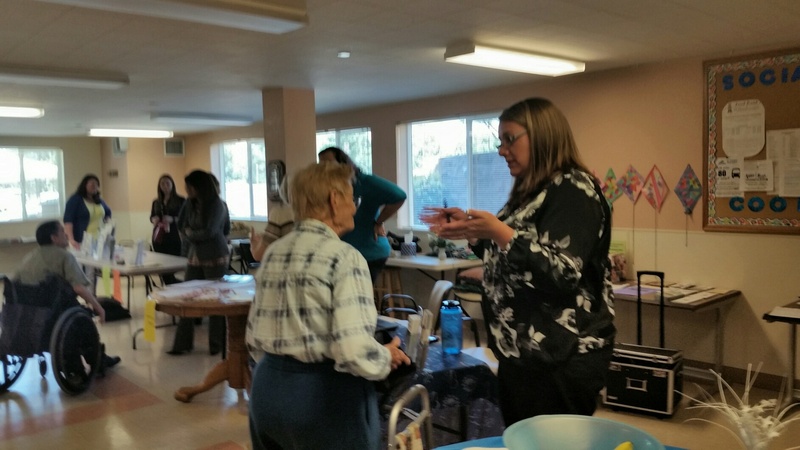 At least twice a year, Social Services Coordinator Sherriton Kerr organizes a fair for seniors living at Eskaton Lincoln Manor. Because this community is designed specifically for low-income older adults, Sherriton makes sure to provide useful connections that allow her residents access to meaningful services. "We are so blessed to have our county come to the building," says Sherriton. 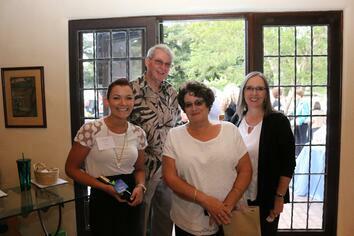 "We value El Dorado County Department of Human Services. 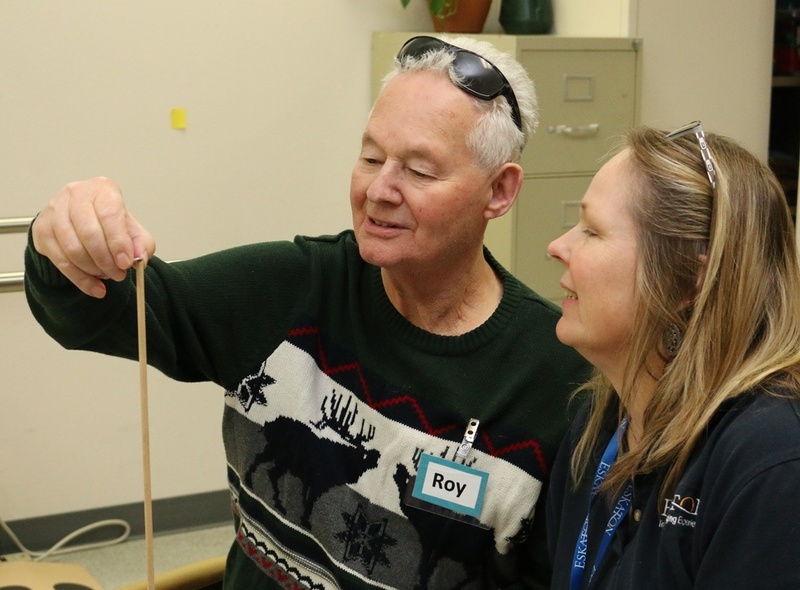 From MediCal workers to Meals on Wheels volunteers, they go out of their way to make a difference in the lives of Eskaton residents." The 2016 Spring Fling at Eskaton Wilson Manor was a complete success thanks to Consolidated Communications and Safe Credit Union. 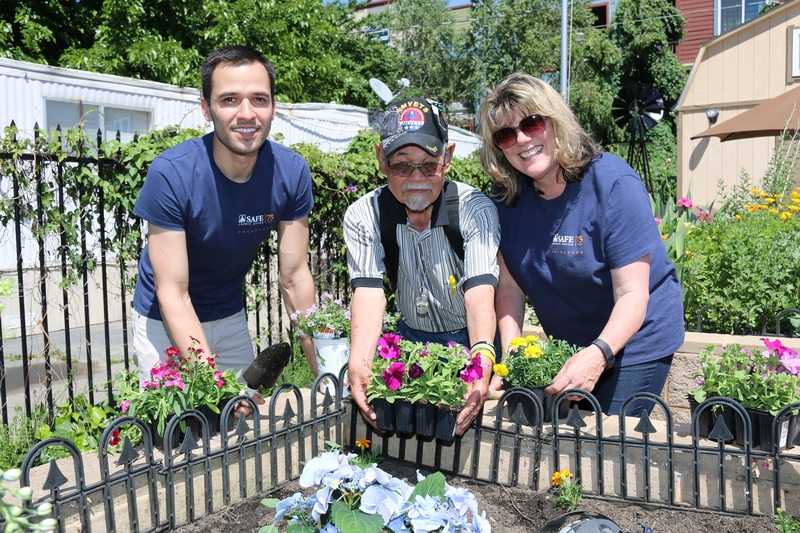 We appreciate your partnership to help us refresh resident flower beds with blooming flowers, vegetables and herbs. Our philanthropic partners believe seniors matter. Garden Party at Eskaton Care Center Greenhaven. Donors like you help daughters preserve the family. Click here to learn about Eskaton Foundation. The nonprofit Eskaton celebrates employees who go above and beyond with a Guardian Angel Program. Employees receiving five Guardian Angel pins in recognition of their hard work were treated to lunch with Eskaton President and CEO, Todd Murch and President of Eskaton Foundation, Kim Rhinehelder. 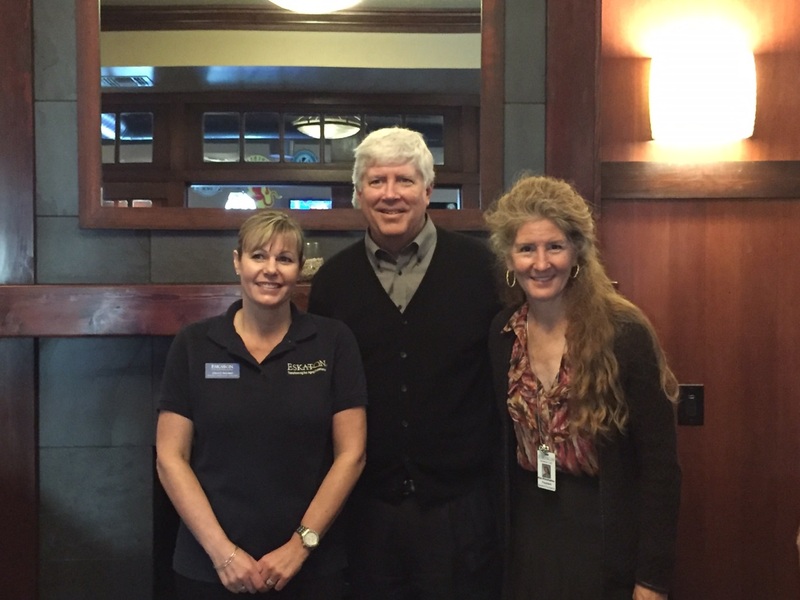 Evelyn McGrath, Executive Director at Eskaton Village Placerville is humbled that in 2015 her staff received 27 Guardian Angel pins and she was excited to attend lunch with Christ Nordell, a five time Guardian Angel recipient.